WEST PALM BEACH, Fla., Nov. 8, 2018 /PRNewswire/ — On October 28-30, Global Healthcare Resources hosted its annual event, now called HEALTHCARE ЯEVOLUTION (previously the Employer Healthcare & Benefits Congress and the World Medical Tourism & Global Healthcare Congress), bringing together the industry pioneers that are transforming the business of health. This event combined a series of education-driven summits, including Ignite Talks, Fireside Chats, Workshops, and Keynotes along with mini-events including Well-being 100 Awards, Innovation Awards, and Market Disrupt (a pitch event). Attendees from all different niches of healthcare crossed over to unrelated niches simply to gain knowledge in areas which are emerging and may in fact crossover in years to come. Sessions brought the best out of the leaders in precision medicine, genomics, pharmacogenomics, opioid addiction, well-being, self-funding, medical technology, mHealth, healthcare blockchain, and plenty more. While half of attendees attend the event for the purpose of gaining insight and education to stay at the top of their game, the other half attend for networking opportunities. Global Healthcare Resources held private events for Concierge Clients and Joint Ventures to come together with high-profile conference attendees to discuss mutual business interests and open new doors of opportunity. Most significantly, co-hosted receptions for a Hainan delegation in China and government departments from an Abu Dhabi delegation took place on Day 1 and Day 2 respectively. Both brought tremendous channels of communication through an international presence of business leaders in medical travel and healthcare tourism. Global Healthcare Resources is headed to China on December 2-6 this year for the World Medical Tourism Congress: Hainan, China. This trade mission will further the relationships made during HEALTHCARE ЯEVOLUTION and expand upon them with business opportunities focused on the continent. Concierge Clients of Global Healthcare Resources will join other VIP’s in meeting the governor of Hainan to determine strategy and collaboration for patient travel in and out of the province. 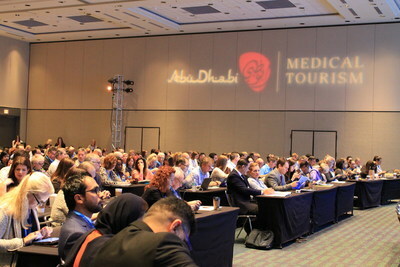 In 2019, Global Healthcare Resources will be co-hosting the World Medical Tourism Congress: Abu Dhabi with the Department of Culture and Tourism. In attendance will be a host of VIP’s spanning from healthcare providers to facilitators to buyers across the globe looking to penetrate the emirate’s growing presence as a top medical tourism destination for patients everywhere. Global Healthcare Resources continues to move forward with its new partnerships and developments encompassing a wide breadth of healthcare niches, such as its new partnership with Hawaii-Mainland Administrators to form Provider Network International, a movement that will transform self-funded employer coverage to span across the globe, and its long-standing relationship with Global Healthcare Accreditation, an organization committed to raising the standards in medical travel internationally. 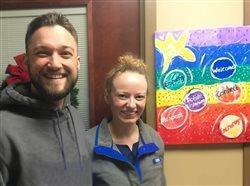 A number of programs and business lines operating under Global Healthcare Resources will be undergoing operational and functional transformations to better serve its clients. Global Healthcare Resources will be launching a new website in the coming week. The Certified Medical Travel Professional program will be acquired by Global Healthcare Accreditation to expand its scope in delivering and equipping medical travel professionals. The Medical Tourism Association will open a regional office in Abu Dhabi to operate as a focal point in the golf for association members. Global Healthcare Resources (GHR) is a solutions firm comprised of international experts providing consultative services to organizations and government bodies. Seeking strategic development and market penetration in the spaces of healthcare, wellness, well-being, medical and wellness travel, employee benefits, insurance, precision medicine, and genomics is the driving motivation. 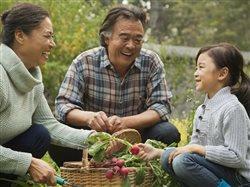 To learn more about Global Healthcare Resources, visit https://globalhealthcareresources.com/. HEALTHCARE ЯEVOLUTION® is the premier showcase and catalyst for Self-Funded, Employers, Health Insurance Companies, Hospitals, Brokers, Consultants, TPA’s, Pharma, and innovative solution and technology companies. Through a global series of conferences, thought leadership roundtables, pitch investment events, pilot programs, and leading market intelligence, HEALTHCARE ЯEVOLUTION® drives the innovation and collaboration necessary to transform business of health. HEALTHCARE ЯEVOLUTION® is organized by Global Healthcare Resources.